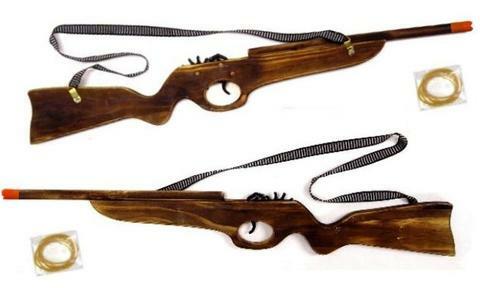 This hand carved wooden rifle is approximately 24" long. It has a flintlock looking lever action that shoots elastic rubberbands, which are included. It also has a shoulder sling. Price is for one gun.